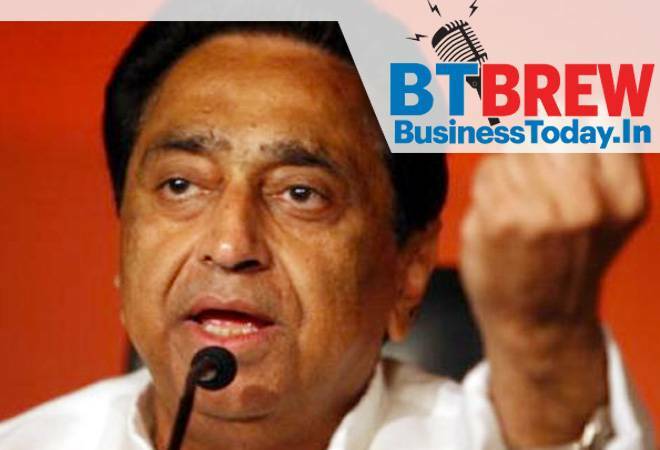 Hours after taking charge on Monday, Madhya Pradesh Chief Minister Kamal Nath cleared a proposal for waiving farm loans up to Rs 2 lakh, fulfilling a promise made by the Congress ahead of the Assembly polls that are widely believed to have tilted the scales its favour. Congress president Rahul Gandhi had promised a farm loan waiver within 10 days of his party coming to power in the state, where it ended the 15-year-long BJP rule. An Indian telecom export body has requested National Security Advisor Ajit Doval to ban the purchase of equipment from Chinese companies like Huawei, ZTE and Fiberhome for government networks, claiming that they can pose a serious national security threat. The TEPC has been set-up by the government to promote telecom export from India. Telecom industry body COAI, however, said that the TEPC demand to impose restrictions on Huawei and other Chinese firms is without any merit. The Cabinet on Monday approved amending the existing laws to provide legal backing for seeding of biometric ID Aadhaar with mobile numbers and bank accounts as an optional KYC after the Supreme Court barred mandatory use of 12-digit unique identifier by private firms, sources said. The Cabinet headed by Prime Minister Narendra Modi approved amendments to the Telegraph Act and the Prevention of Money Laundering Act (PMLA) after the Supreme Court in September imposed restrictions on the use of Aadhaar by private companies. The government on Monday extended Ujjwala Yojana of providing free cooking gas (LPG) connections to all poor households, Oil Minister Dharmendra Pradhan said. The scheme, launched in 2016, originally targeted giving LPG connections to mostly rural women members of below the poverty line (BPL) households. The list was later expanded to include all SC/ST households and forest dwellers among others. The scheme is now being extended to all poor households. The Central Goods and Service Tax (CGST) department has detected a fraud of Goods and Service Tax (GST) and Input Tax Credit (ITC) in the metal scrap business across Madhya Pradesh, Maharashtra and Gujarat. The fraud amount is likely to be around Rs 200 crore, an official said. According to officials, the fraud was committed during the past one-and-half years through bogus business and fake invoices and e-way bills. India is making constant efforts to gain market access in China for various commodities and an agreement was signed in November for the export of fish products, Commerce and Industry Minister Suresh Prabhu said Monday. The government has been consistently making efforts to obtain market access for various Indian agricultural products, animal feeds, oil seeds, milk and milk products, pharmaceutical products, IT and IT-enabled services, etc, in light of the potential of these products and services in the Chinese market, Prabhu said in a written reply in the Lok Sabha. Growing consumer trust and confidence in online buying has helped e-commerce platforms expand their share in India's total FMCG retail sales by as much as three times, according to market researcher Nielsen. This has led to online purchase of a broader range of categories, with a particularly interesting upswing seen in fresh and packaged groceries, Nielsen said in a report. It further stated that global online grocery purchasing is up 15 per cent in the last two years, leading to an estimated USD 70 billion additional sales in online FMCG.